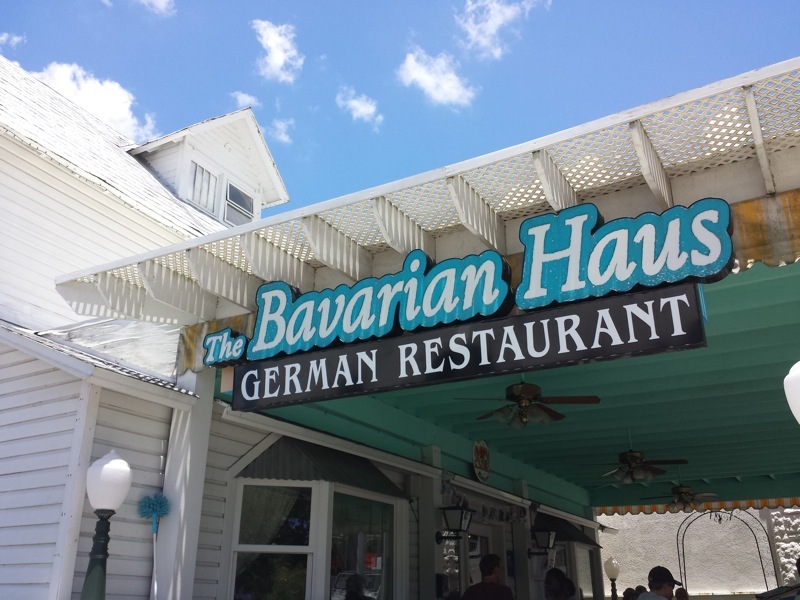 I had lunch at The Bavarian Haus in downtown Mount Dora. This small restaurant lived up to it's haus name, being that it was in a small house. 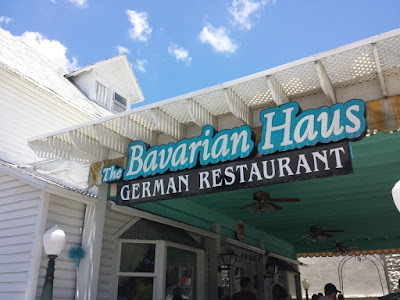 Bavarian Haus had indoor seating as well as outdoor seating on a patio out front. I had the Bratwurst lunch special. According to our waitress, the bratwurst were one of the best things on the menu so that's how I made my meal decision. The normal side accompanying the bratwurst was German Potato Salad. Instead, I asked if I could have the Kartoffelknödel, or potato dumplings as my side. They gladly obliged. Two sausages were served. 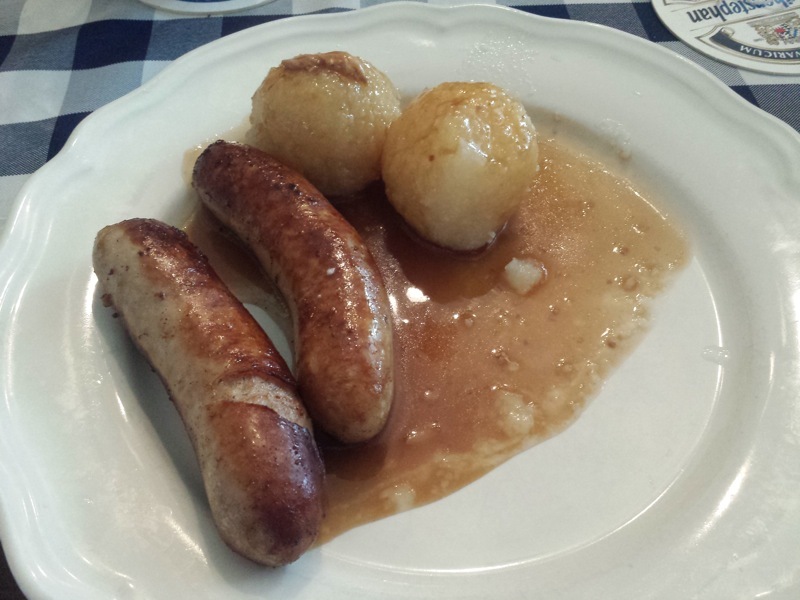 They were good, although nothing that would stand out when compared to other bratwurst I've had elsewhere. The kartoffelknodel on the other hand were new to me, therefore much more memorable. These dumplings sort of reminded me of matzo balls, both in shape and consistency. The texture was interesting. They weren't mashed potato smooth, nor were there chunks of potatoes. It was all somewhere in between. A gravy-like broth was served on top, which went well with the bratwursts as well. I liked the food I tried at Bavarian Haus. Everything tasted good. The prices for lunch were reasonable. I have no complaints overall! 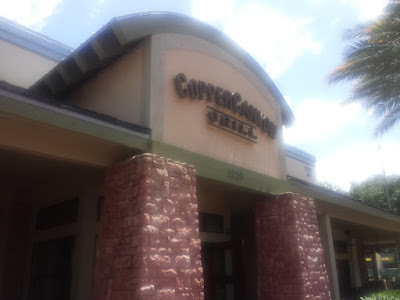 Copper Canyon Grill has been located in Pointe Orlando on International Drive for years now. I had been warned multiple times from different people about how horrible the restaurant is and to avoid Copper Canyon at all costs. I finally decided to ignore those warnings and give the restaurant a try. I was there for lunch on a Sunday. These lunch specials were advertised outside the restaurant and it must have worked. I ordered the Korean Pork Belly Tacos. The food took quite a while to be served. The restaurant was mostly empty. They had an open kitchen and the guy cooking was getting loudly upset at something and yelling at some of the servers. If you have angry cooks, don't put them in an open kitchen where the guests can see and hear them. Once the food did come out, I had no complaints. The tacos were delicious. 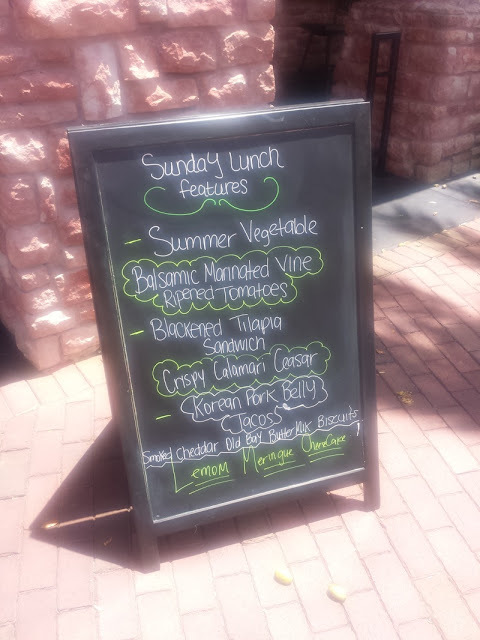 The pork belly was tender rather than rubbery (I've been served rubbery pork belly one too many times at other restaurants). The sauces were delicious. 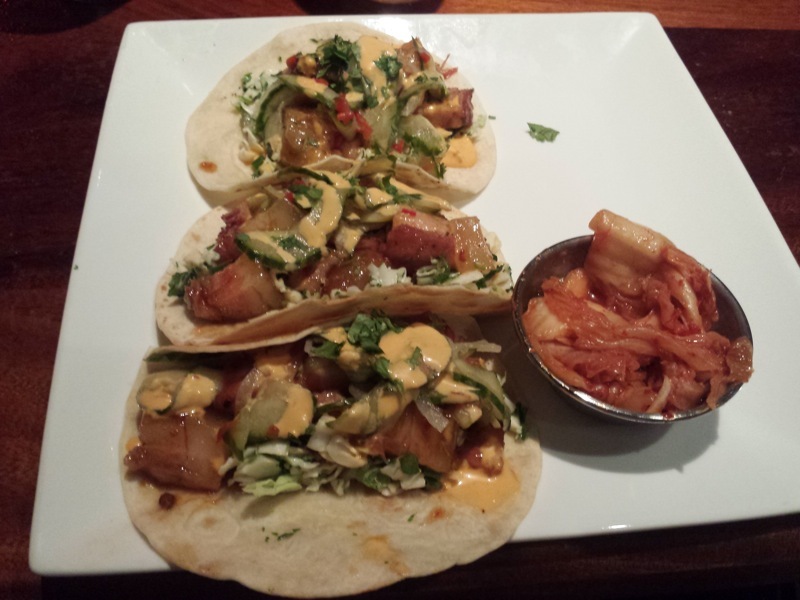 The side of kimchi was unexpected, but I graciously devoured it. 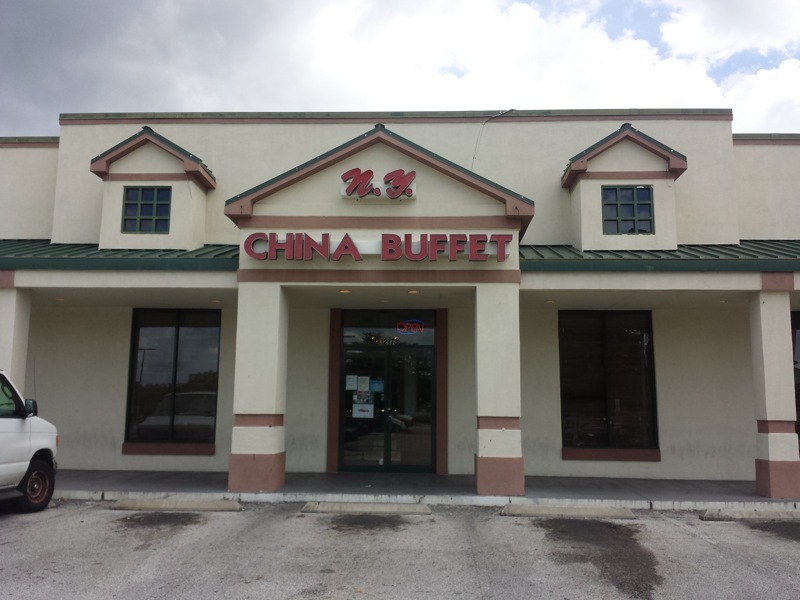 I ate lunch at NY China Buffet in Lake Buena Vista on 535. 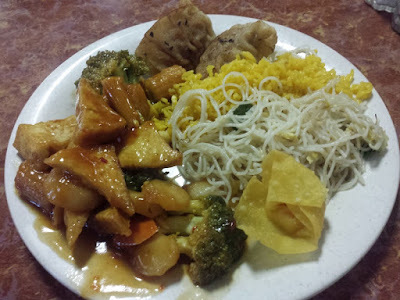 Buffets in this area could be scary tourist rip offs, so I was surprised to see lunch was just under $8. 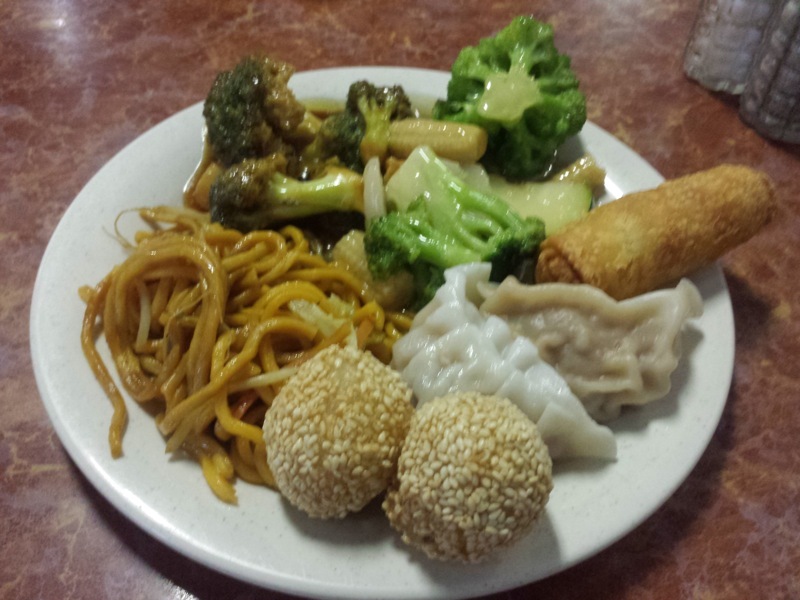 Plate #1: Chicken with broccoli, mixed vegetables in a white sauce, egg roll, steamed dumplings, red bean filled sesame balls, and lo mein. The mixed vegetables were the tastiest food on this plate. Plate #2: Stir fried bean curd, fried dumplings, fried rice, mei fun, and crab rangoon. The standout here was the bean curd. This stuff was delicious. 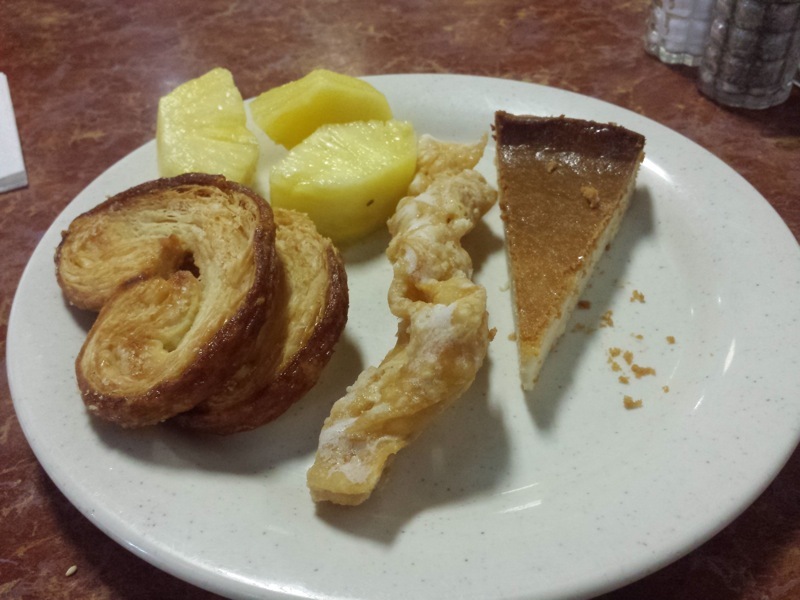 Plate #3: Dessert. Pineapple, glazed fried wonton chip, cheesecake, and butterfly cookies. Apparently they like the cheesecake here. I saw an employee eating a plate of six slices of the cake.